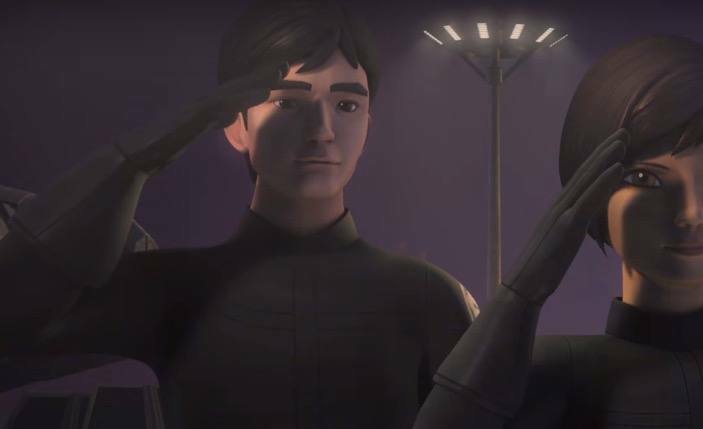 Wedge Antilles will be brought into the world of Star Wars animation in the upcoming episode of Star Wars: Rebels. Before I get on to the Antilles stuff, what on earth has happened to Sabine's hair? It's interesting how the colour of Sabine's hair matches the dark colour of the 'Empire'. Evidently, this clip tells us Sabine is undercover for the Rebel Alliance. As for Antilles, I am intrigued to learn why a young Wedge is regarded as both valuable and important to the Rebellion? No doubt, we will learn about this in the episode. The Antilles Extraction airs this Saturday (8 October) on Disney XD at 8:30PM EST. What happened to his British accent? Wasn't he Scottish doing an american accent?